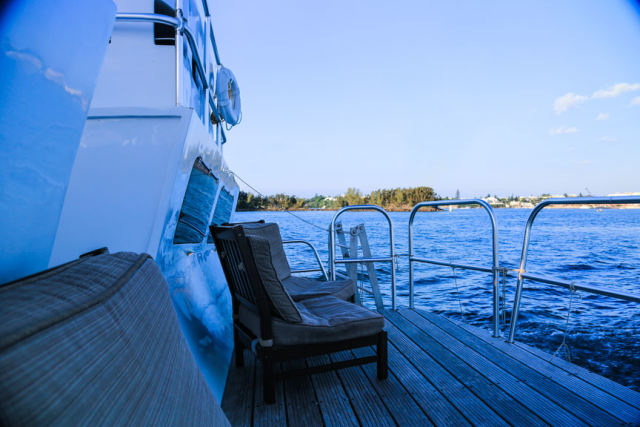 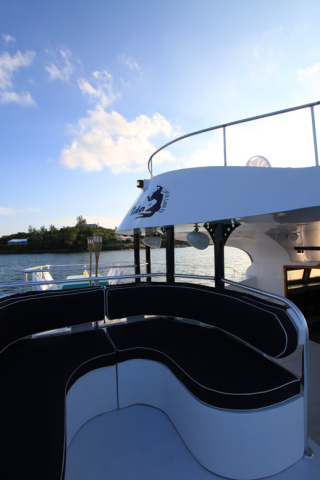 ÜberVida is a 70 foot long custom built motor catamaran and is one of the most versatile Bermuda wedding venues. 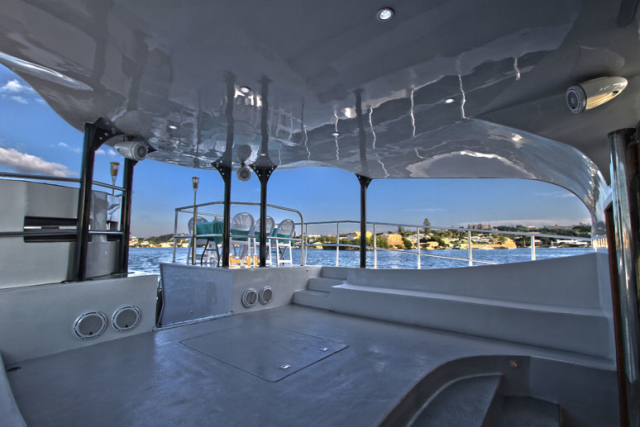 The custom wedding yacht is very large, spacious and comfortable and can accommodate up to 150 guests for cocktails or up to 50 guests for a more formal sit down dinner. 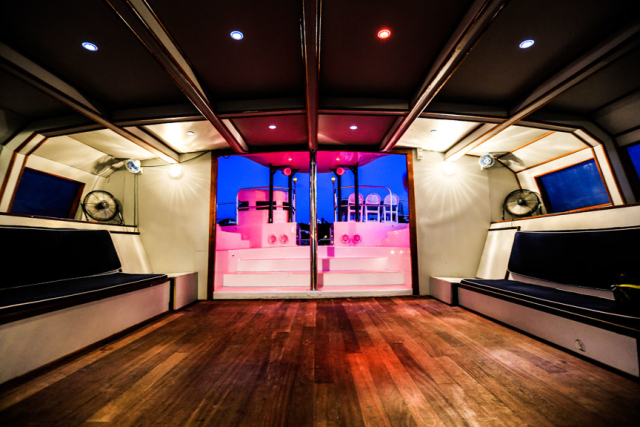 The basic decor; shiny white, navy blue and wood accents create an amazing palate which lends itself to decoration and customization.